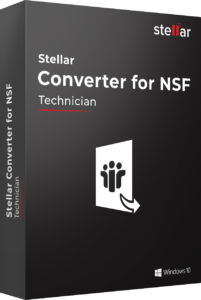 Stellar Converter for MBOX Tool is an easy, reliable, fast, and secure tool to work with. Smart features, intuitive design, quick processing, and easy steps make this software user-friendly. I analyzed this software on significant aspects such as speed, accuracy, and performance, and found it impressive. This renowned utility is also the first choice of several competent professionals, who have years of experience in this particular niche. Another thing that I found impressive in this software is its ability to export the MBOX Files directly to the Office 365. For this, all that the user has to do is key-in the login credentials for Office 365 and follow the standard instructions prompting in the wizard. Powerful, easy, intuitive are some words to describe the program. With support of almost all mail clients it’s almost impossible to not transfer old mails to outlook. You can read the mails before transferring, you can export them as PDF or print them.If you are looking for some way to import old mails to outlook or you’re a technician who gets this question a lot then don’t look further and at least give this program a shot.We would score it a 8 out of 10 on features, we would love the possibility to also open Outlook files and we would score the easy of use also on a 8 out of 10. It’s easy to use but the design could use some work. An additional benefit, Technician version allows you to directly export MBOX items into Office 365 profile. To achieve this, all you need to do is key-in your Office 365 login credentials once the software prompts you to do so. Exporting user mailboxes from one email client to another is a huge task which requires a lot of time and expertise. Moreover, migrations typically need specialised hardware as well as technical skills to complete. 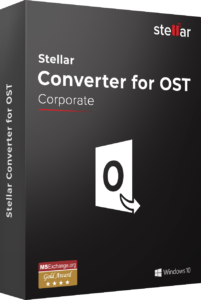 This process has been simplified by Stellar’s MBOX to PST converter software. 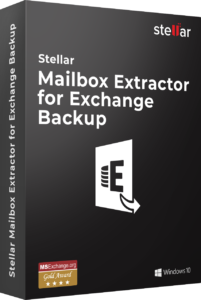 It has been specially designed to help both novice and expert users smoothly export their MBOX mailboxes to Outlook. Once the conversion completes, the resultant PST file can be directly imported into Outlook to access the mail items in it. Another popular MBOX email client is Entourage. Many Windows as well as Mac users use this client for their personal as well as professional purposes. If you wish to convert Entourage mailbox items into PST format, you can take the help of Stellar MBOX converter. This application safely converts Entourage mailboxes into PST format that can be directly imported into Outlook. Many organisations still use Thunderbird as their primary email client. To switch from Thunderbird to MS Outlook or even Office 365, items within Thunderbird mailboxes need to be converted to PST format. This converter can help you achieve this risk-free. The converted PST file can be imported into Outlook or exported to Office 365 as required. Its interface is also known for user-friendliness. 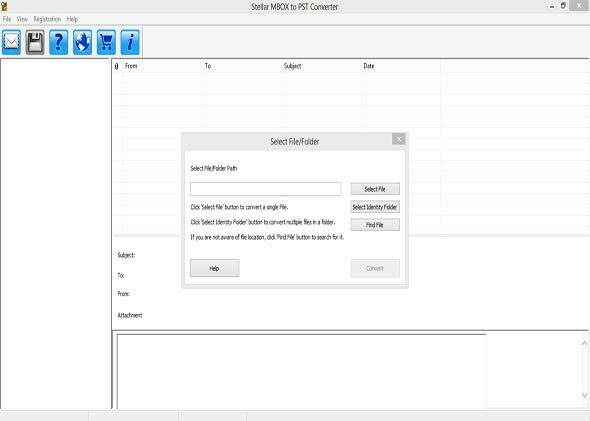 Keeping in lines with the same, this software lets you easily ‘Find’ MBOX files for conversion if you are unaware of their exact location on your system. Click on the ‘Find File’ button on the software screen to search for all the MBOX, Mac MBOX, MBX, and AppleMail files in any selected folder, sub folder or drive. This product can also achieve AppleMail mailbox conversion to PST format. All items within AppleMail mailboxes such as sent mail, notes, drafts, journal, calendar entries, etc. can be smoothly converted into Outlook importable PST format. 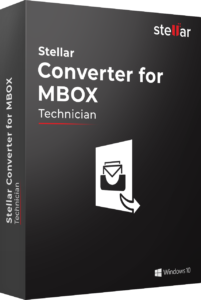 In addition to saving converted data into existing or new PST, this MBOX to PST tool also provides you numerous other formats through which you can save your converted MBOX mail items. However, this feature is only available with Technician version. It is enhanced with exclusive features of saving the converted file in EML, MSG, RTF, PDF and HTML Formats. When the conversion process is initiated, the software scans the selected MBOX file to search for mailbox items to be converted. As items are discovered, they are populated within a tree-view list in the left panel of the software window. You can select any mail item from the tree-like list to see its preview on the right side of the screen. Only when you are satisfied with the preview, should you proceed with the actual conversion.